Me and my skin have a terrible love/hate relationship. I mean, I know I’m blessed to have reasonably good skin. I don’t have terrible cysts or anything that bad. But I do have the worst combination skin, and a bit of rosacea. My forehead and eyelids are constantly doing the tango between oily and dry, and my cheeks have a perpetual pink flush. So whenever I’m seeking to address something like a breakout, finding a product that will cater to my skins needs is surprisingly hard. Then I stumbled on Missglamorazzi’s morning skin care routine ( if you haven’t subscribed to her video‘s, tumblr, twitter, or FB you totally should- she’s got great makeup tutorials, and she’s also done some giveaways too!). 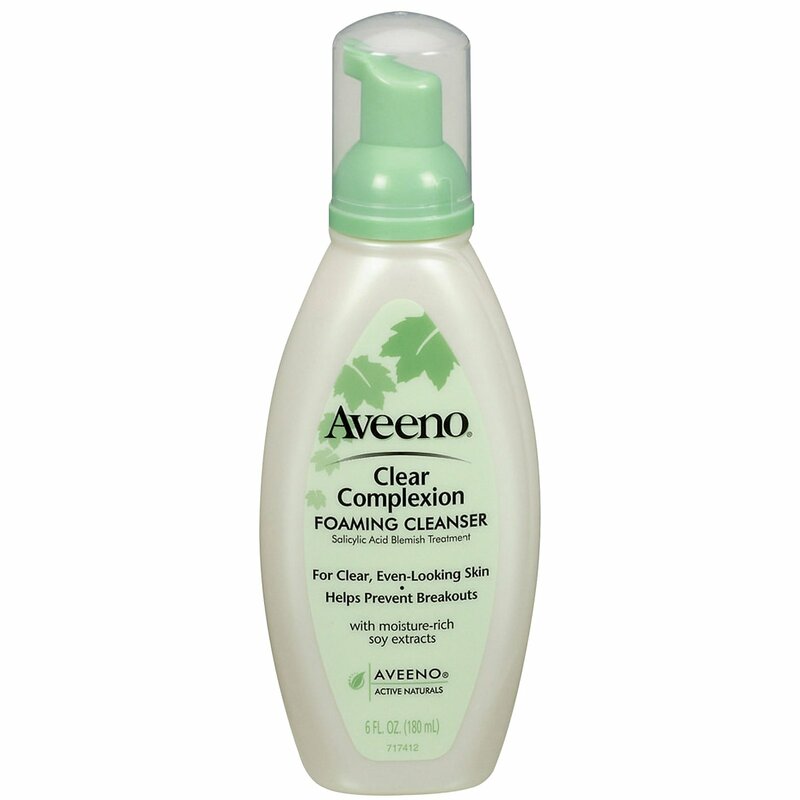 Anyways, after watching Ingrid’s vid I decided to try Aveeno’s Clear Complexion Foaming Cleanser for myself- and I have never been so surprised by a product before (in a good way). Before trying Aveeno’s cleanser I had been using a prescribed medication for breakouts and prevention. I used it on and off because I felt that the product was super harsh on my skin. So, the first time I used the cleanser I noticed a significant difference in my skin tone, and scattered acne breakouts. I had washed my face at night, and in the morning my acne was clearing and my rosacea was definitely lighter. Since then I’ve been a HUGE fan. I’ve stopped using the medication (which I am not recommending you do, so be sure to consult your doctor before changing your skincare routine- I’m just telling you what worked for me), and now wash my face nightly with Aveeno. The wash smells amazing, and doesn’t leave my skin feeling tight and dry. 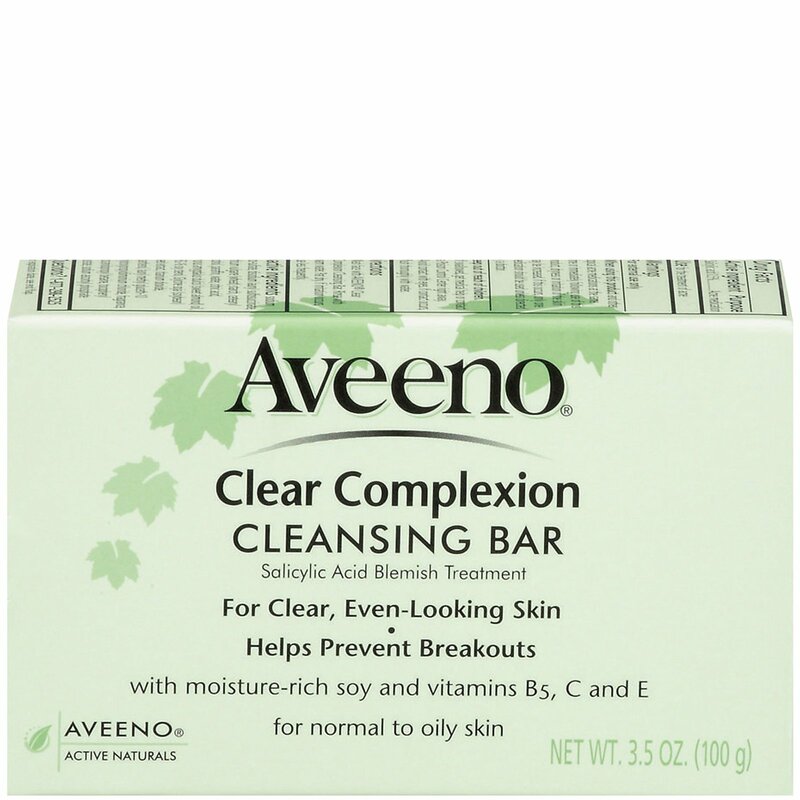 Since I expect to be traveling soon I picked up Aveeno’s bar version of the same cleanser- and I also picked up one to giveaway here! 1. Comment, what’s your fav skincare routine product? This giveaway starts 2/13/2012 and ends 2/20/2012. I was not compensated in any way for this review/giveaway. Open to US only. I love the playtex makeup wipes. Aveeno sunscreen for face. Never leave home without it. I like cleaning off my face with rubbing alcohol, then do a peel, then a clay masque, then a micro-dermabrasion, followed by moisturizer. My fav skincare routine product is Cetaphil. Thanks for the awesome giveaway! wash face, put sunscreen/moisturizer on, then at night I wash it before I go to bed. I use just plain water right now to wash my face. Would like something to help with dark circles. My favorite skincare product is Neutrogena – Sunscreen spf 100. I like scrubs of all kinds. For skincare, the most I usually do is a facial scrub or steam facial (where the steam from the hot shower helps it). I commented on your EBOOST post!